Purpose Good for Cough, Bronchial, Asthma, Bronchitis, Sinusitis. 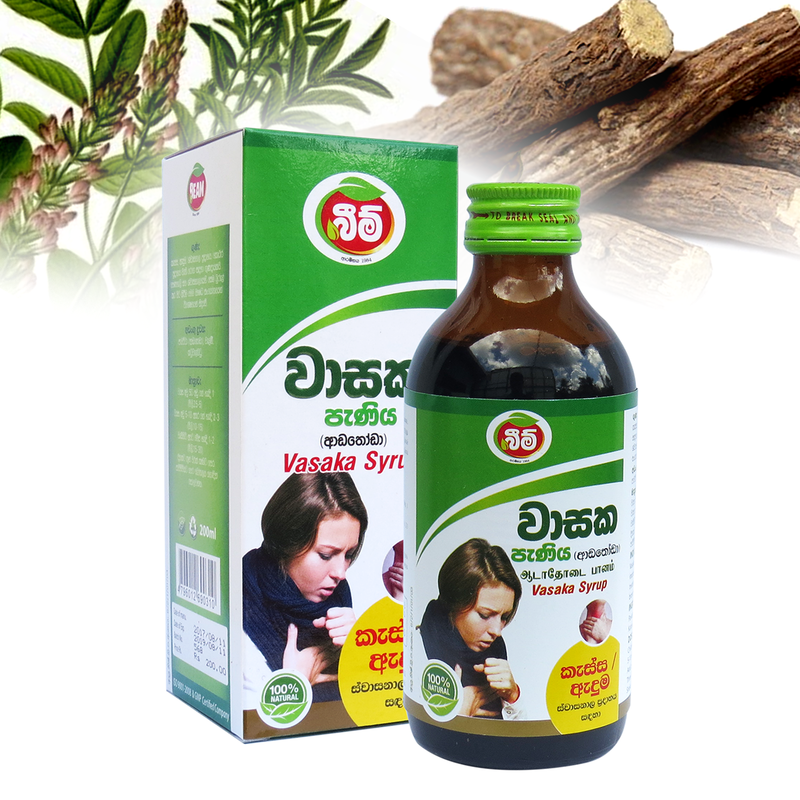 Helps loosens thick sputum and clear the upper and lower respiratory tract. Dose Children Under 5 Years 2.5ml, 5-10 years 5-10ml, Adults 10-15ml. කැස්ස , ඇදුම , ශ්වාසනාල ප‍්‍රදාහය කොඨර ප‍්‍රදාහය වැනි රෝග සඳහා ගුණදායකයි. පෙණහැලි සහ ශ්වාසනාලයෙහි සෙම බුරුල් කර පිට කිරීම මෙම ඖෂධ සංයෝගයෙන් විශේෂයෙන් සිදුවේ.